Kwantlen Polytechnic University is committed to serving its communities through teaching, research and innovation. Kwantlen has always been committed to serving the diverse needs of the South Fraser region of British Columbia. As Canada’s newest and most innovative polytechnic university, Kwantlen will continue to place the learning needs of its students first by focusing on the integration of theory, critical insight, and practice. The university’s purpose is to provide students with the skills and understanding necessary to be engaged, aware, and responsible citizens, and to pursue fulfilling careers. Kwantlen is committed to teaching, research and innovation that focus on the human capacity to influence and improve our world. Kwantlen Polytechnic University is committed to offering traditional and career programs with multiple pathways leading to university degrees. Kwantlen offers citation, certificate, diploma, and degree programs in the traditional liberal arts and science disciplines, in trades and technology fields, and in career and professionally focused areas. Its citation, certificate, and diploma programs are specifically designed to bridge into degree programs. Through its highly successful programs in qualifying studies, Kwantlen provides access pathways for students of varying abilities with opportunity and support to help them realize their potential. Kwantlen is committed to meeting the needs of non-traditional students pursuing additional educational opportunities. Kwantlen Polytechnic University is committed to providing curriculum and services necessary to prepare our students to be global citizens. Kwantlen, which has evolved from a college to a university college and now to a university, will continue to embrace its established role as an important educational, cultural, and recreational resource for its communities. Kwantlen recognizes the centrality of international, indigenous, and multi-cultural perspectives in its curriculum, and its responsibility to prepare graduates to be global citizens. Located on the Pacific Rim, the university specifically acknowledges its position as an attractive option for international students. Kwantlen is committed to principles of diversity and freedom of belief and expression, and to providing a supportive, secure learning environment for all its students. Kwantlen Polytechnic University is committed to the tireless pursuit of learning, in keeping with the values of the Kwantlen First Nation. Kwantlen, which means "tireless runner," represents the university's unabashed commitment to quality and excellence. In keeping with its First Nations name, Kwantlen recognizes the uniqueness and richness of First Nations' learning and wisdom, and the distinctiveness and dignity of their culture, informing as it does the belief that all forms of cultural expression enrich one another. 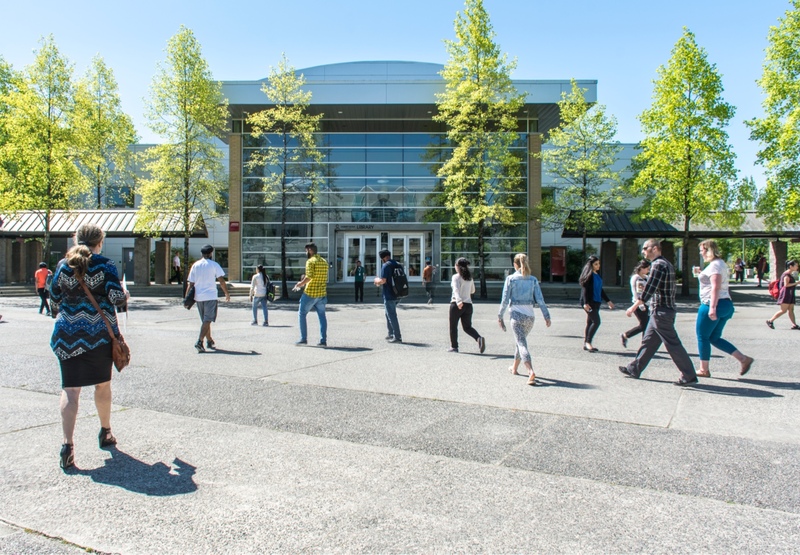 Read full Kwantlen Polytechnic University Overview here.